Note: I applied this polish on January 2nd and took the photos on January 3rd. So I will admit it, I am a big fan of Cristine (Simply Nailogical). 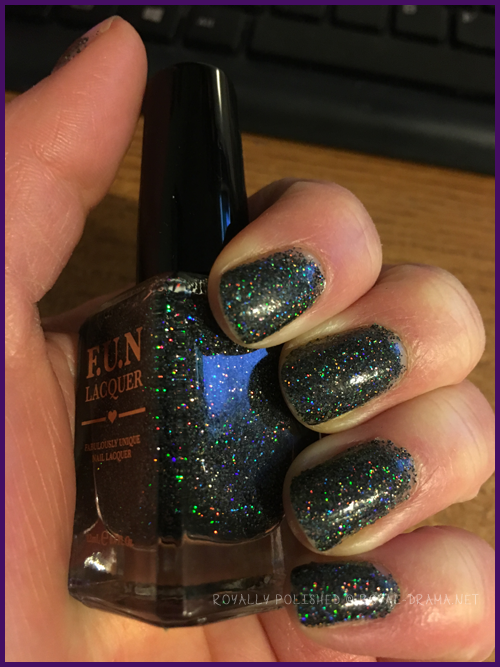 I have known about the collaboration that she had done with Fun Lacquer for quite awhile but couldn't afford it for the longest time. 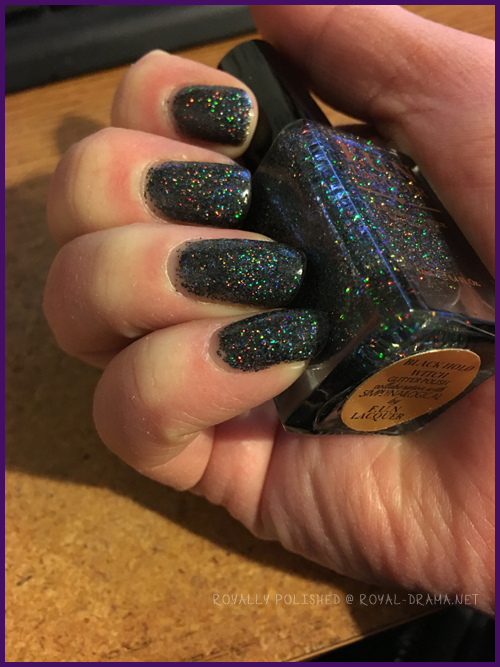 Then the stars aligned and I could afford the good holo stuff (I swear I am not an addict lol). I was super excited to get this. I knew that the polish would be very sheer and would need to do the sponge on method to build up the polish for opacity. So turns out, I am not so great about doing that process lol. 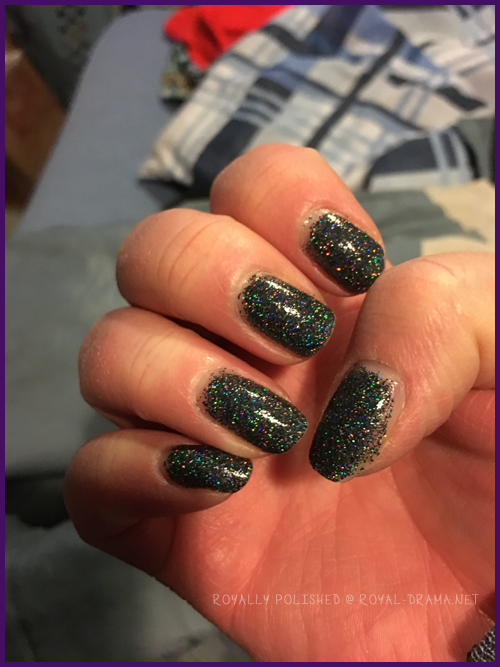 I did a thin layer of polish, dabbed on the polish with a makeup sponge, and did another thin layer on top of it. Then top coat. And it chipped the next day. That sound you heard was my heart breaking. I think that my top coat is getting too old since it likes to just peel off at times so I am hoping it was that and not a bad bottle. I will have to try this polish again at some point but a few tips that I wish I had known about; make sure you wrap your tips and also be careful if you are using liquid latex to protect your fingers like I did. Some of the latex was too far onto my nail so when I pulled it off, it came off and looked stupid. Oops. I will say that the holo on this polish is seriously outstanding. I wish it wasn't such a chore (for me) to put on. If only the base was a little more on the creamy side, it might have gone better. Overall I am giving this polish a 3 out of 6 stars. 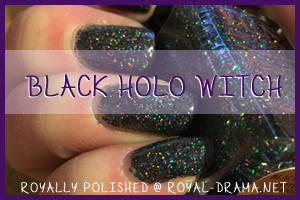 The holo is worth the price of this polish but be careful how you apply it. It takes better skills then I possess.